LOTUS RISING, Chronotope Project‘s fourth album on the Spotted Peccary label, is a series of musical reflections on Zen Buddhism. The ambient electronic character of the album is deeply rooted in lush synth textures and mesmerizing sequenced electronics, naturally flowing together to create mystical soundspaces seasoned with cello, Irish whistle, twenty-four string Harpejji, hand percussion, and natural field recordings. The wonderfully mysterious soundscapes of LOTUS RISING glide meaningfully through atmospheric undercurrents that range from murky and enigmatic to angelic and serene, providing a thought-provoking deep listening experience that evolves continuously with the passing of each moment. 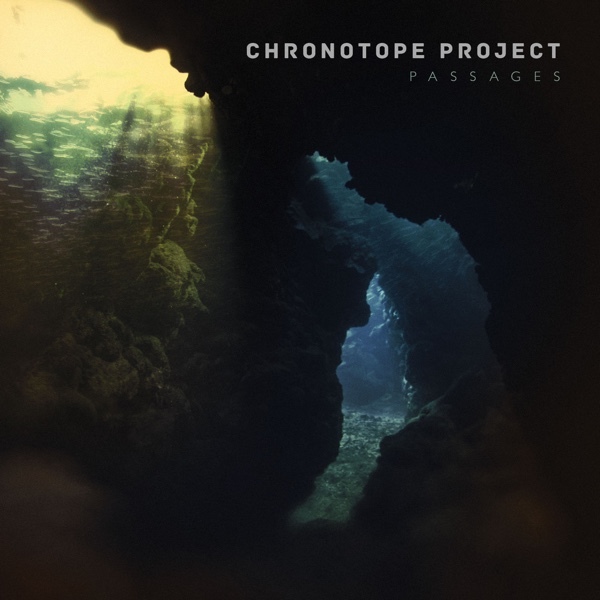 The rich textures and vibrant electronic sequences are hallmark elements of the Chronotope Project style, and those familiar with previous works by the artist will recognize the plaintive flute or voice-like sound of the musical protagonist that guides the listener through the course of the album. This instrument, the Hakken Continuum Fingerbooard, is a uniquely expressive synthesizer that anchors the listener in the journey and gives musical expression to the protagonist’s quest for expansion and self-surrender on the imaginative voyage through LOTUS RISING. With it’s many layered textures, melodic moments, and hypnotic rhythms, LOTUS RISING has much to offer the casual listener as well as those who delve more deeply, and its meaningful musical journey is sure to leave a lasting impression that will touch and inspire all. Jeffrey Ericson Allen's Chronotope Project is back with a new release, 'Lotus Rising,' his eighth album and fourth with Spotted Peccary, after 2017's excellent 'Ovum' which I reviewed here. Allen's 30 year study and practice of Zen serves as the inspiration for this one, focusing on the image of the lotus flower, Buddhism's most recognizable symbol. The album's eight tracks tell the story of an aspirant's journey of self-actualization on the Buddha Way, stressing the importance of the moment. Allen explains, "Zen emphasizes the identity of practice and realization. Practice is not a 'means' to awakening; it is awakening itself, just as music is not a means to reach the end of a piece, but an evolving expression in time, in which each moment expresses an aspect of the whole." I suppose the album could be viewed in that way if one were to think about it, but I think, Grasshopper, one would already need to have a zen mindset in order to make the association. The Haken Continuum Fingerboard, an instrument which affects a smooth glissando sound, not unlike a pedal steel guitar (with no Hawaiian or country music affectations) dominates quite a bit of 'Lotus Rising,' gliding effortlessly over gently sequenced synthesizer and ambient pads, producing a languidity to rival a lazy Sunday afternoon in July. Because of this, there seems to be little overt variation from track to track. There are subtleties, but it may require several listenings to pick up on them. The exception I found was the Deleriumesque "Opening The Hand of Thought," the fourth track in. The synth sequencing and mysterious aura are a bit stronger and the lack of HCF on it gives the piece a different vibe. Although there is a thread of rhythm in 'Lotus Rising,' that tends to be subtle too, at least until the last (and longest) track, 'Homage To The Three Jewels." Here we have a more percussion-oriented rhythm giving the piece a hint of tribal, also supported by a chorus of low voices and a delicate flute. There might be a tendency to lump the music on ‘Lotus Rising’ into the New Age category, but it is nowhere near as melodically saccharin as your typical New Age outing. For me, this is music for drifting and dreaming, for exploring your inner-mind, not just some background ambiance for massage therapy or Reiki sessions. (Although it could work for that too.) Overall, Chronotope Project has produced another fine ambient work that should satisfy the most discriminating ambient enthusiasts. - Steve Mecca, Chain D.L.K.